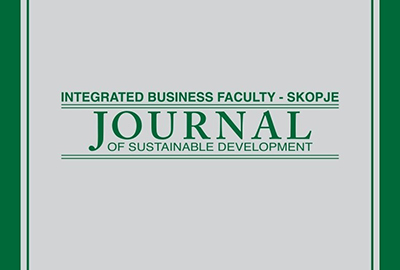 The editorial board of the Journal of sustainable development announces a Call for papers for the 21st edition of the paper. JoSD is listed in the respected EBSCO database, as well as the databases of the Business Source Complete and Sustainability Reference Center. The papers of our authors will be listed in these databases and available for access by other foreign researchers and academics. JoSD is also indexed in the CEEOL database. The deadline for submission of manuscripts is 12th of October, 2018. The submitted papers must be in English language. Тhe information for authors and manuscript submission can be uploaded at the following link.